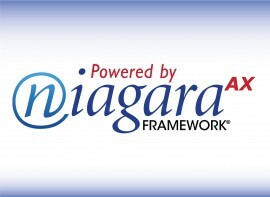 The Niagara Framework® is a software platform that integrates diverse systems and devices regardless of manufacturer, or communication protocol into a unified platform that can be easily managed and controlled in real time over the Internet using a standard web browser. NiagaraAXresolves the challenges associated with open systems, integration and interoperability by integrating diverse systems and devices – regardless of manufacturer, or communication protocol – into a unified platform that is easily managed and controlled over the Internet. A scalable solution, NiagaraAX increases the functionality and value of “smart devices and systems” by connecting real time operational data to the people and systems that manage business enterprises. NiagaraAX creates a common environment that connects to almost any embedded device imaginable. 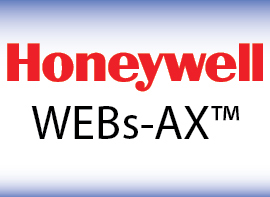 It models the data and behavior of the devices into normalized software components, providing a seamless, uniform view of device data to the enterprise via a wide variety of IP-based protocols, XML-based connectivity options, and open API’s. By transforming the data from diverse external systems into normalized components, NiagaraAX creates an architecture that provides substantial benefits over gateway-based integration. Today, there are over 245,000 instances of the Niagara Framework deployed worldwide.